Design at its best uplifts when we’re home and beckons when we’re out and about. And there’s little we love more than helping you bring dreamy looks to life with the hottest trends of the moment. 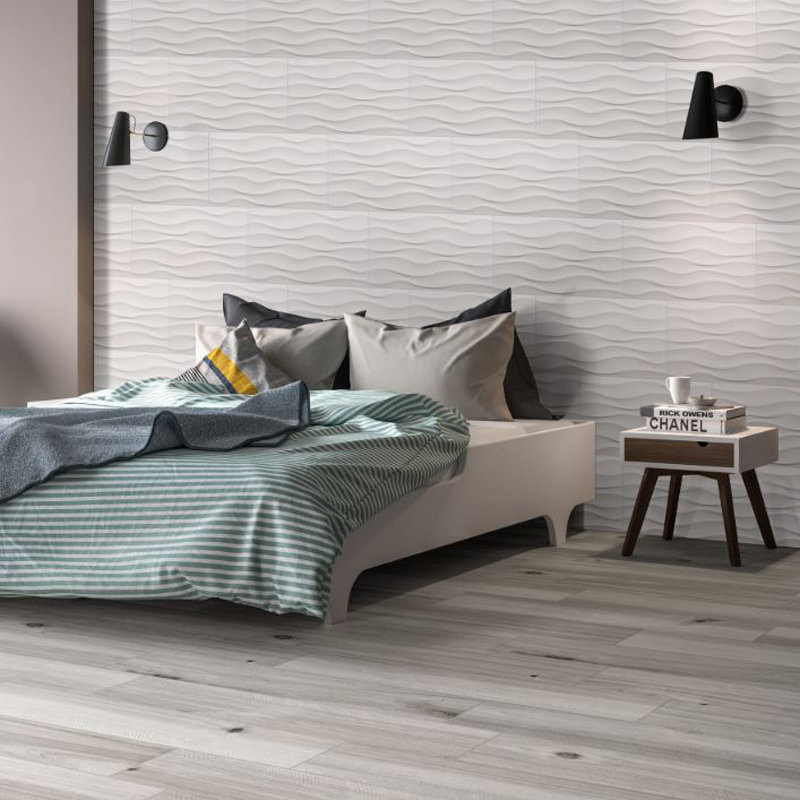 As we head into the holidays, we’re celebrating three-dimensional tile – and all the stellar ways the Off the Wall Dimension trend is reviving kitchen backsplashes, shaking up great room fireplaces, refreshing hotel lobbies, and waking up walls behind the bed. Bubbly-looking glass. High-low mosaics. Wavy ridges. The best and brightest shapes, patterns, and textures are heading your way. This roundup of our favorite walls is inspired by all things chic, cozy, and irresistible. Proving once and for all, there’s no place like home. 3D done right – thanks to Dekora Porcelain Midnight Mount. This uber-versatile trend swings bold and modern one minute, subtle and classic the next. 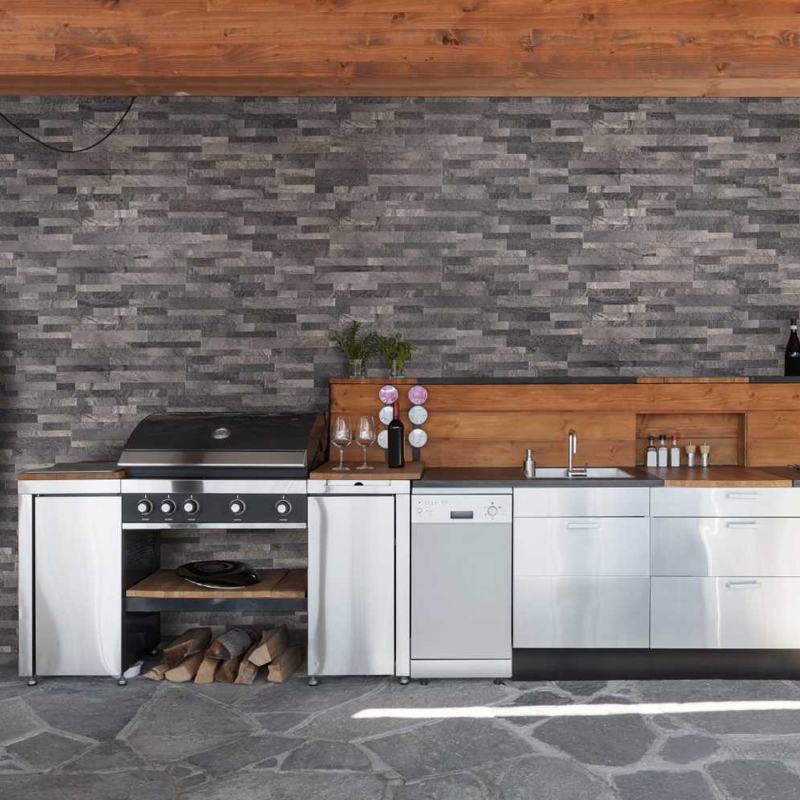 That means stunning looks for every design personality and wish list – including stacked stone ledger panels that jump off the wall, must-touch geometric backsplashes, and wood looks with a farmhouse vibe. Here’s to transforming ordinary walls into dream-worthy architectural features, bumping up home value, and creating rooms you never want to leave. Just when we thought large format tile couldn’t get hotter, Dymo Chex 12X36 comes along to give walls an intriguing second life. The best part about heading into winter? 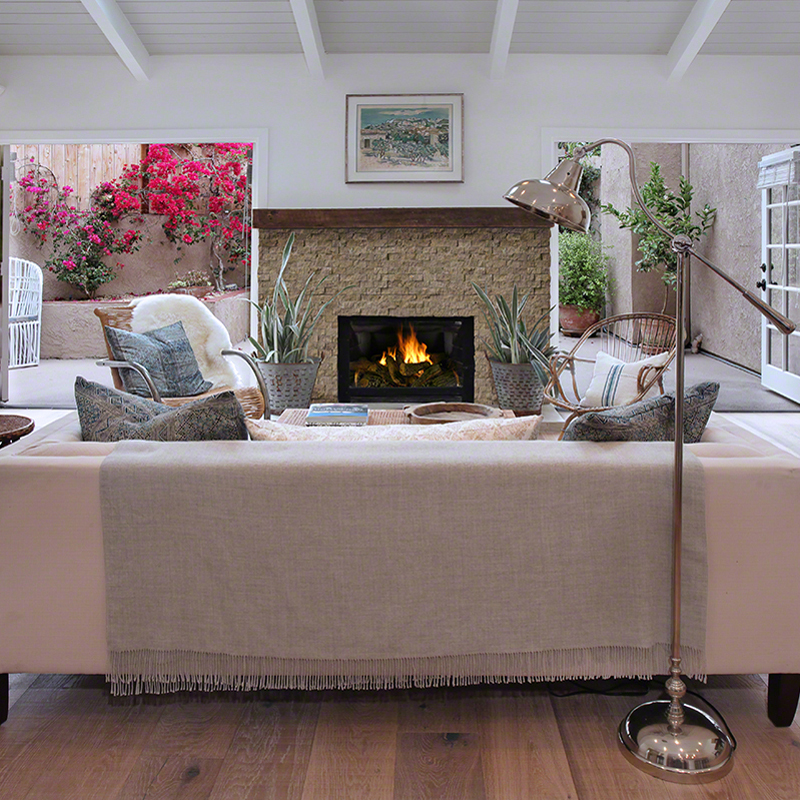 Fireside chats in cozy rooms like this one. 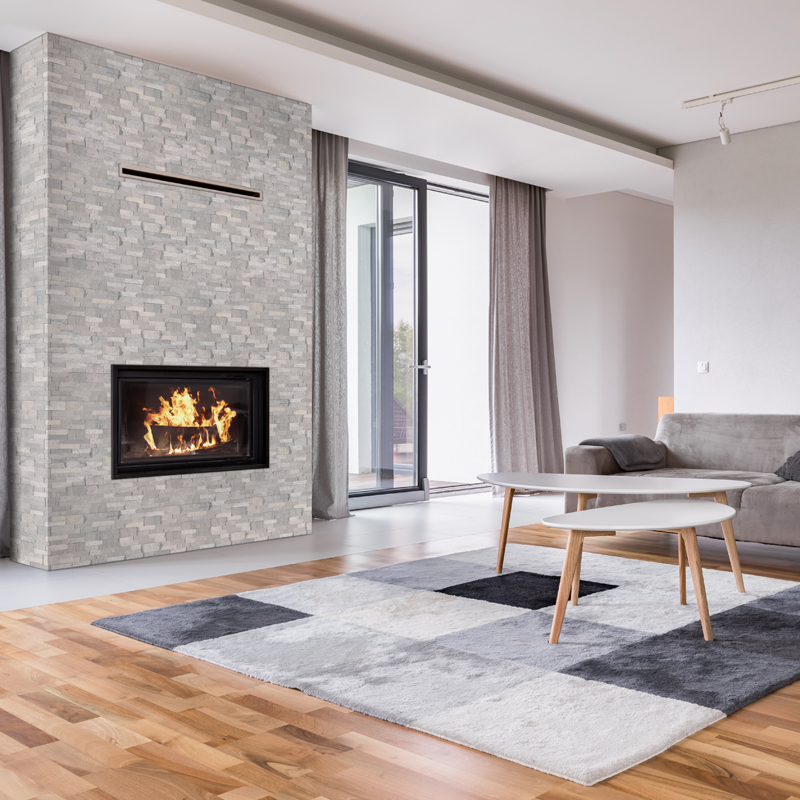 It’s no surprise that Stacked Stone Ledger Panel fireplaces are commanding the spotlight in 2018. A fixture in upscale remodels, Rockmount and M-Series are all about bringing natural stone indoors to dial up the warmth and sophistication. Homeowners near and far are flipping fireplace surrounds with colors like Alaska Gray, Colorado Canyon, and Sierra Blue. Catch their eye with a floor to ceiling fireplace: Iceland Gray Rockmount Ledger Panels. An open shelving must-have, say hello to Rainforest Taupe from Dekora Porcelain Collection. 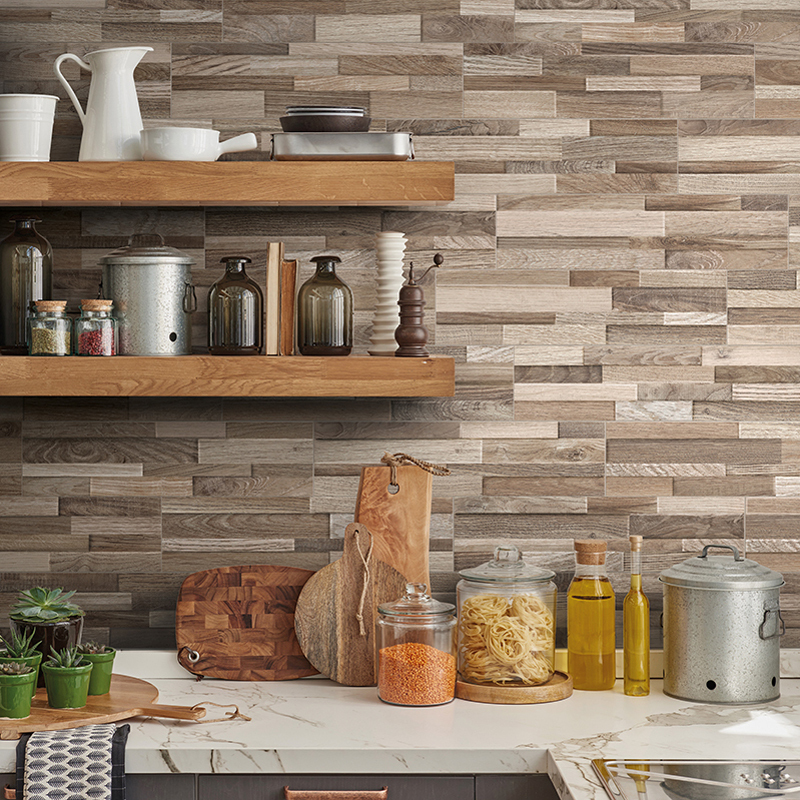 3D wood look walls couldn’t be more on-trend - especially on backsplashes. If you love the pop of color and casual farmhouse style, look no further than Dekora Porcelain Panels. To add extra dimension throughout the house without breaking the budget, designers also tap the classic drama of the collection’s stone lookalikes. Peace out paint and wallpaper, you’re no match for wet zones in the kitchen and bath. We’ve seen the future, and yes, it looks this good: Delano Blanco on the wall. When the madness of the holidays set in, we want to be soaking up bubbles here. A juxtapose to the curvy lines in this clawfoot tub? Walls lit up with midcentury style rectangles. 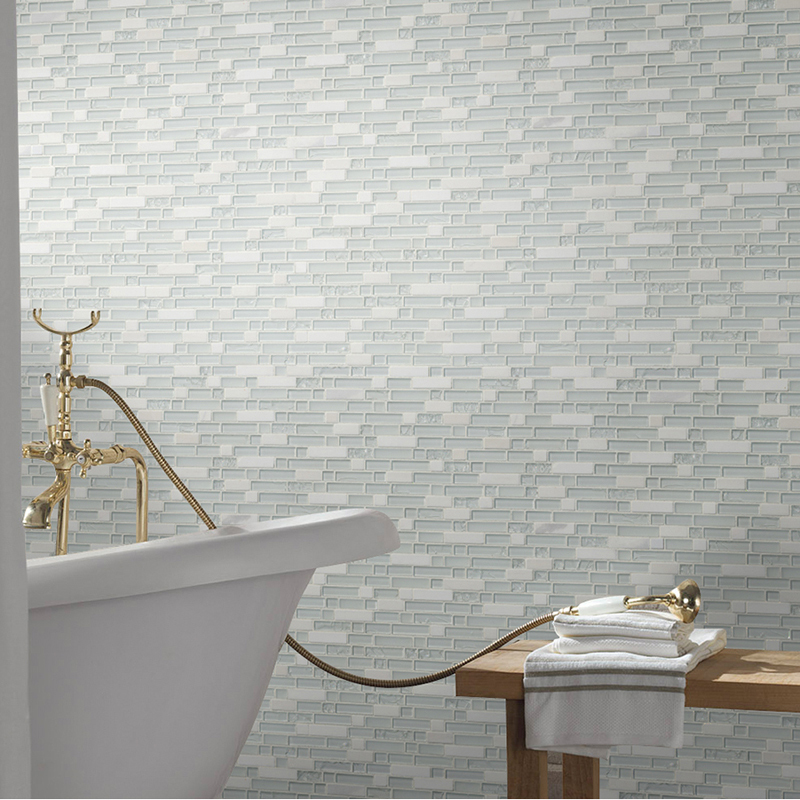 Match the unexpected pairing with another: stone and glass blend tile. 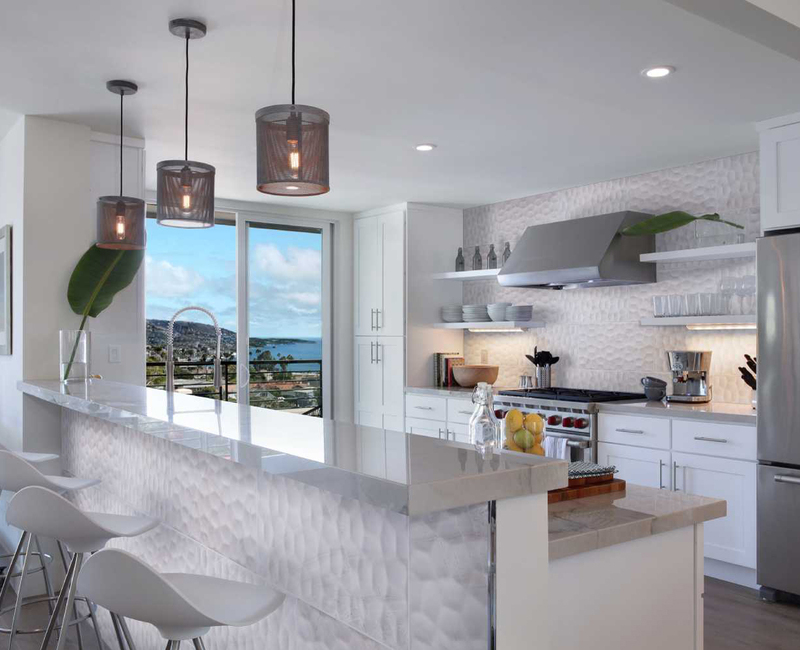 Adella Viso is taking large-format tile to new heights. Complement an ultra-contemporary space with the textured relief patterns in our Adella Collection or take a hot mess from the 80s into the 21st century with the ultra-chic movement in our Dymo series. Either way, 3D tiles inject fresh energy and depth like no other. Is it nap time yet? 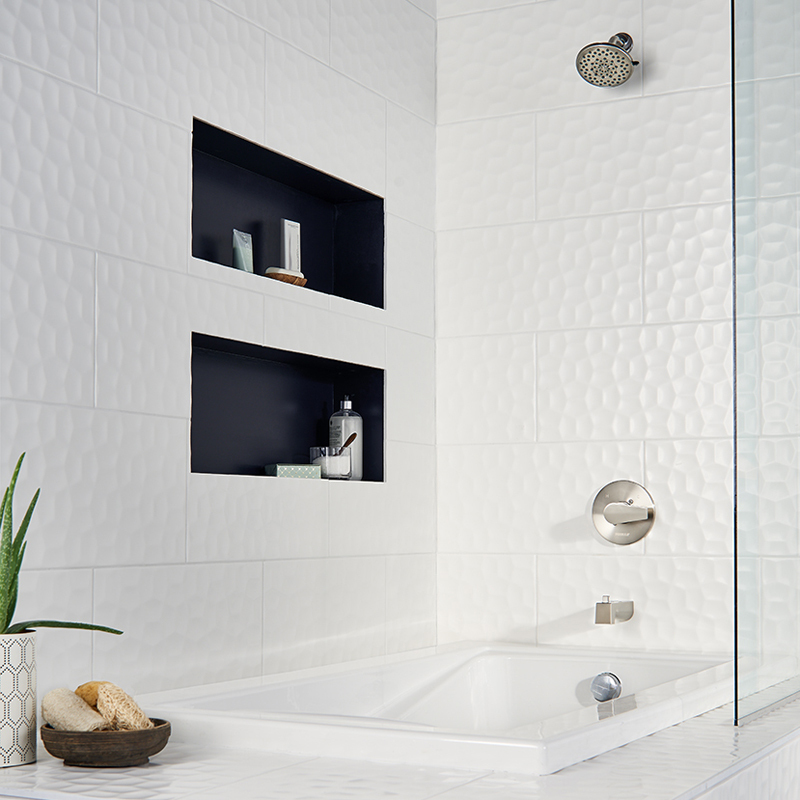 Meet dream-worthy Dymo Wavy White 12X24 Glossy tiles. 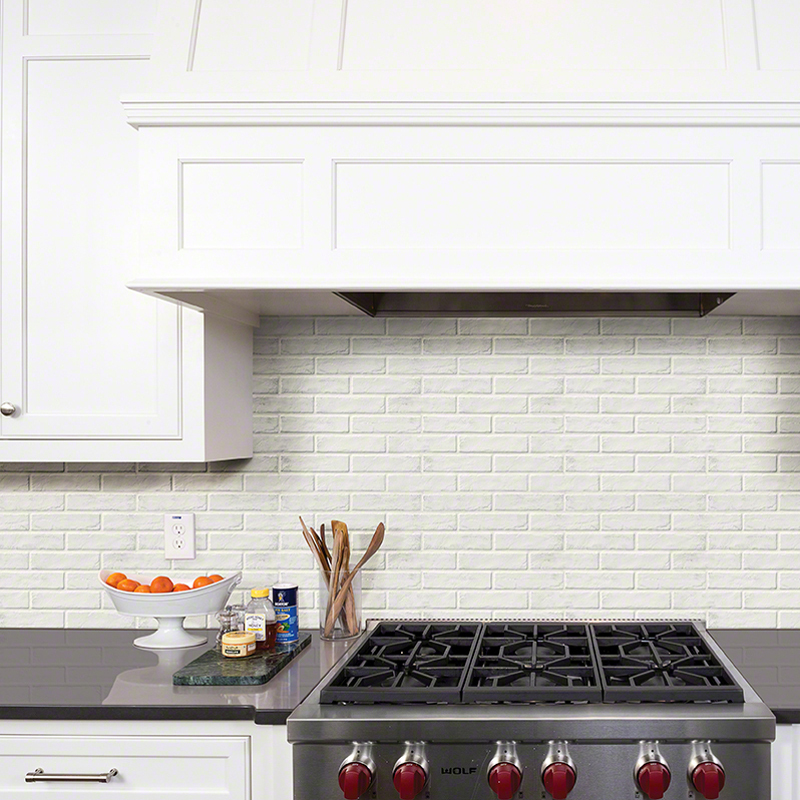 A classic White Subway tile gets a beveled update in this kitchen backsplash. While the 3D trend runs modern, there’s a subtle and classic side that’s equally eye-catching. Favorites like subway and herringbone tile are reimagined with texture and pattern. Bonus point? The play on light and shadows makes them shimmer. Oh-la-la. 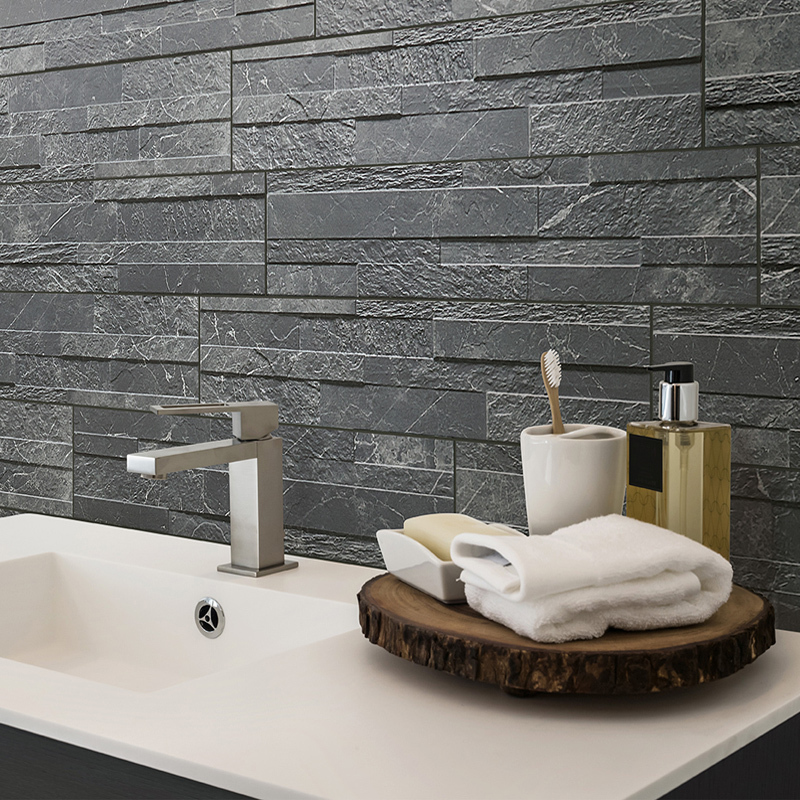 Tall, dark, and handsome, a wall of Ardesia Black Dekora Porcelain Panels creates a luxe focal point. If you haven’t called off outdoor entertaining just yet, we hope you enjoy hosting family and friends on a dreamy patio like this one. 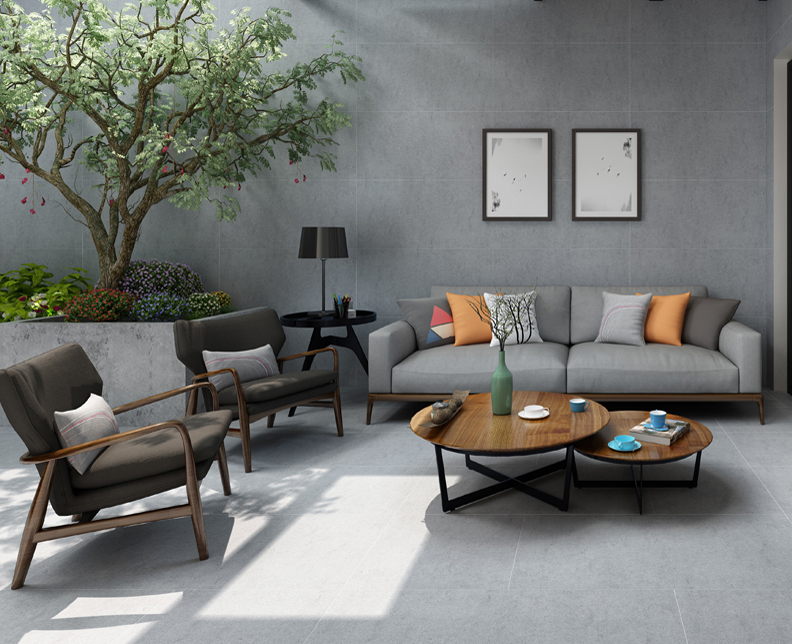 Mother Nature invented texture, so 3D tiles look right at home in the backyard. With options this beautiful, resorting to cement – especially on large exteriors walls like this one—is wrong. Too much tactile appeal? Um, never! 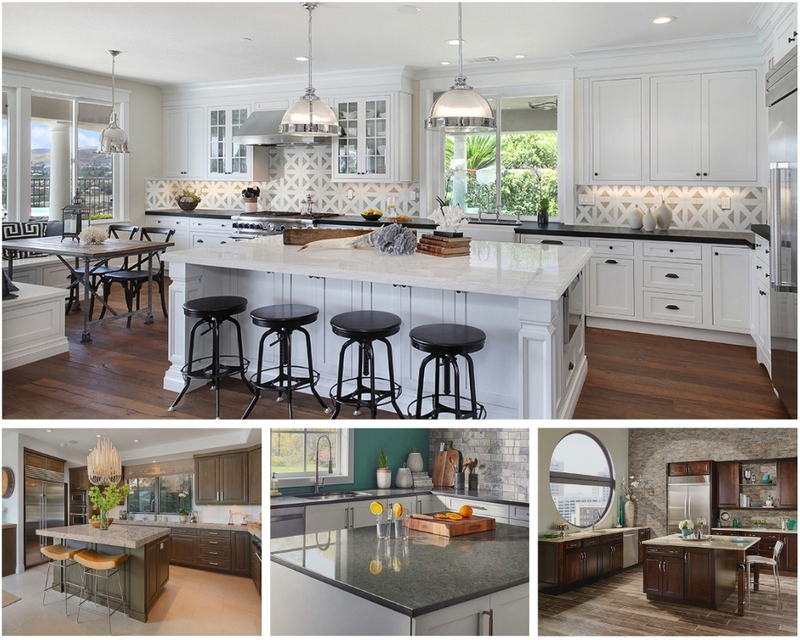 What Type of Sealer Should You Choose for Marble Countertops? 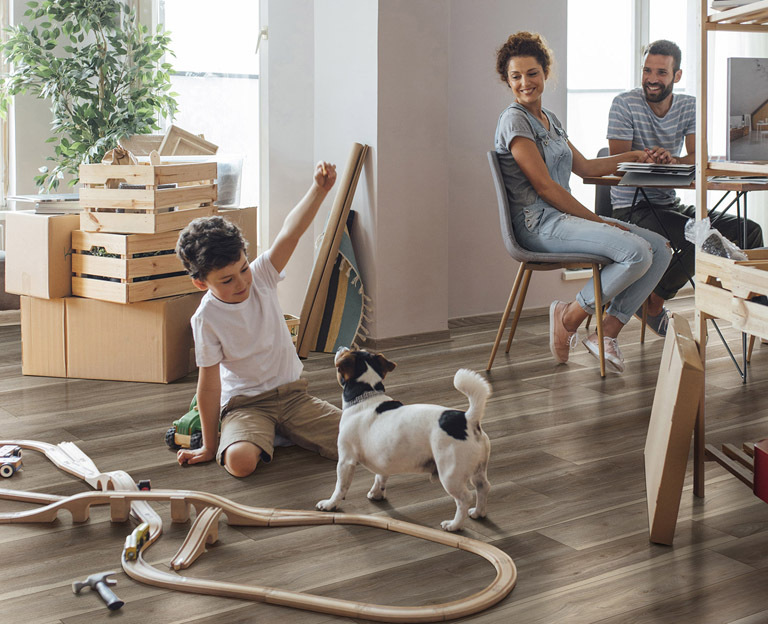 Can Luxury Vinyl Tile Flooring Be Installed Over Regular Tile? 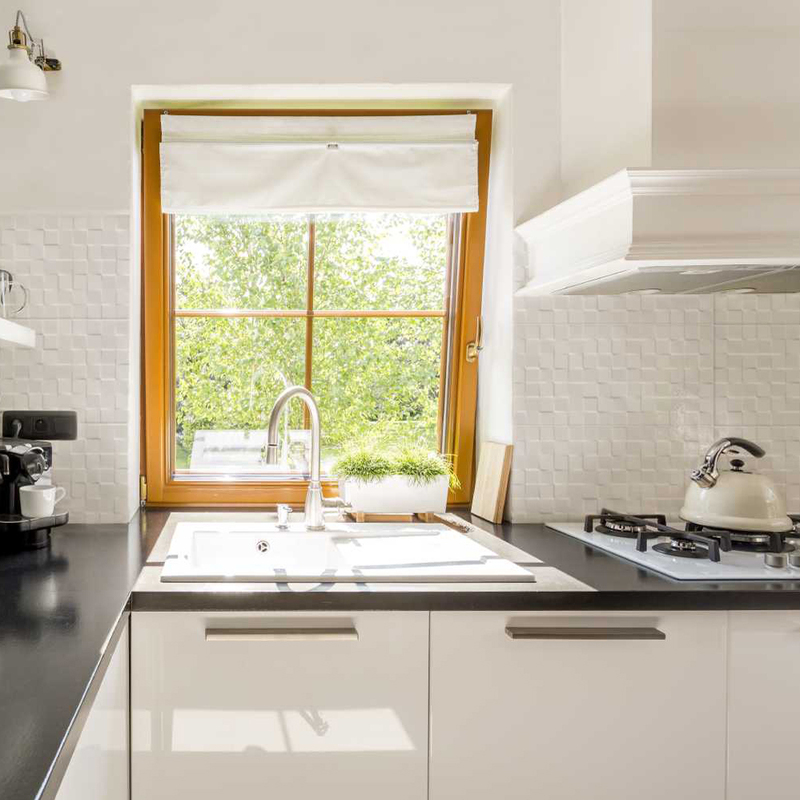 Which Kitchen Backsplash Tiles are Easiest to Clean? Is It a Good Idea to Use Quartz Countertops with Natural Stone Tile? Do Quartz Countertops Need a Special Cleanser? Which Cleansers are Safe to Use on Inkjet Printed Backsplash Tile? Should You Align Backsplash Wall Tile Vertical or Horizontal?